The cost-effective workflow of Datavideo’s HDR-10 highlight replay unit combined with a brand new RMC-400 controller makes it possible for any school to add an instant replay feature for higher quality productions. The RMC-400 can control up to four HDR-10 highlight replay units, allowing you to have instant replay with slow motion and up to four different camera angles. Easily mark your in and out points using the jog shuttle dial to create a highlight clip, then press one button to replay. You can use the T-bar to control the speed for a true professional hardware operation. 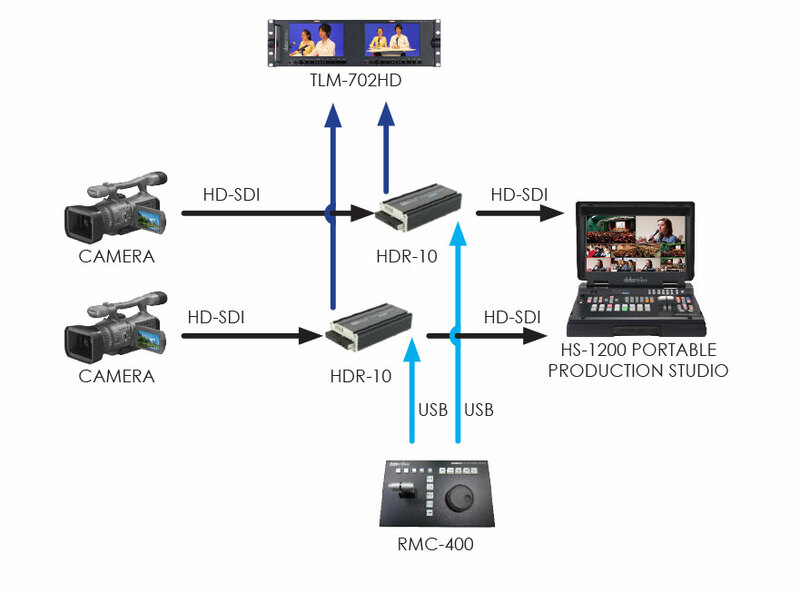 Since you can connect multiple HDR-10s to the RMC-400, you can start off with 1-2 cameras and expand to 4 cameras for bigger productions. Create high quality school sport productions by adding the HDR-10 and RMC-400 instant replay solution to your workflow. Easily mark the highlight clips and trigger instant replay of different camera angles to replay a touchdown or a jump shot.